IBM announced its 650 series of computers, the first mass-produced computer, and the dominant computer of the decade. 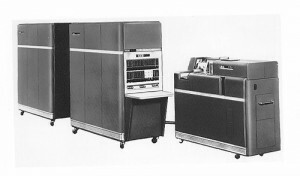 The IBM 650 stored information on a rotating magnetic drum and received it on programmed punch cards. Its memory stored numbers with up to 10 decimal digits.